I am 100% in agreement that the stigma and ableism perpetuated by groups and organizations like The Mighty are harmful to the Disability Community, because they are misrepresenting ableism as advocacy. There is much action afoot to have The Mighty consistently align their actions and ethics with their claim that they are supporting advocacy. Within disabilities communities there is an enormous problem related to power with groups and individuals that claim to be working to advocate for or support Autistic people, very often (too often) without including their voices. And part of the difficulty is that this imbalance of power perpetuates itself and insulates itself with what I can only imagine is a threatened or fear-based reaction. Parent (and professional) voices tend to have more weight, more reach, more volume, and when they are asked to step aside, or consider the perspectives of #ActuallyAutistic people, or look deeply and see that their actions might actually be harming the people they want to support, their response is too frequently to act as though they are the ones being attacked, and silenced. I have seen some parents shout down Autistic people and activists and tell them that they are mean and full of hate and too angry. I have seen some parents, parent support groups, and organizations lash out in ways that ignore the message and eliminate the potential to learn and gain new understanding. And the sad thing is, I believe this response is in part because they are afraid. But these parents, who I suppose have found community and the illusion of support in these arenas, are soaking in a mire that perpetuates their fear, and continues to wash them in the story of disability as hardship and tragedy. I have to say that has been the EXACT opposite of my experience – I am so fortunate to have stepped away from the predominant message of tragedy that is the mainstream ableist response to disability. I have learned so much from my amazing connections with Autistic adults and I am a better parent and educator because of it. I have community. It is a community of support and understanding, and it is full of love and acceptance. This is the community that supports me in understanding and accepting my son as perfectly being himself in this very moment, and then we support development from there. The reality is, that parents and educators and professionals have the opportunity to play an important role in ensuring that the voices and perspectives of Autistic people are heard and respected, particularly when we are willing to recognize our privilege in being heard as the loudest voices and also acknowledge that disabled people with lived experience are the REAL experts. 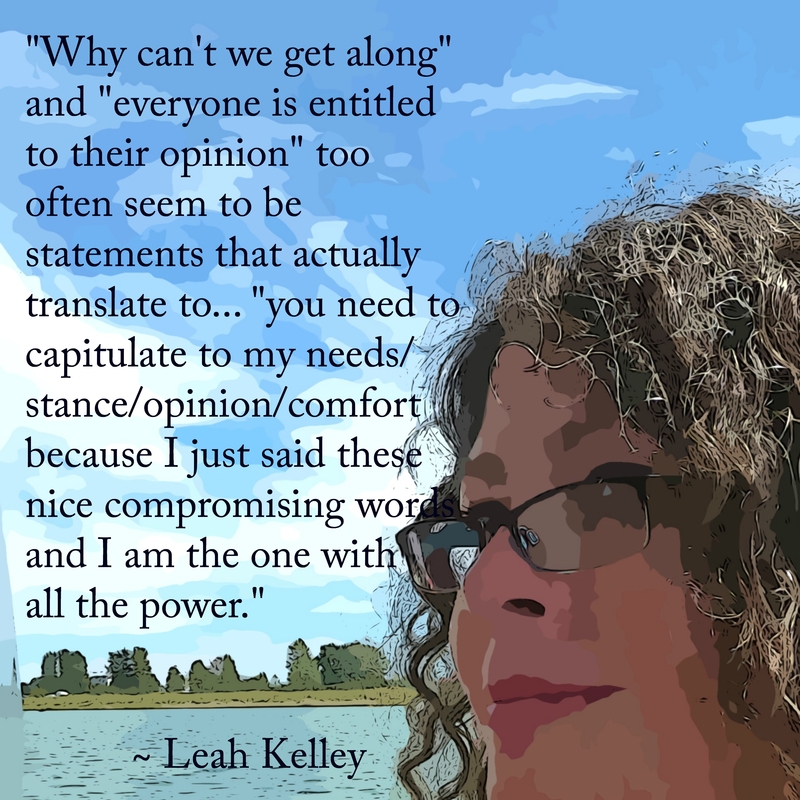 In this post from 2013 I was considering my own privilege and opportunities to make space for others (Easy Silence Part 2: The Yin and Yang of Privilege and Empowerment). I shared: “That sense of privilege has a shadow… and the shadow is the assumption that I have the right to speak up – to say my piece – to be heard… and I am coming to realize that this attitude may actually silence or dilute or diminish the message of others. I am trying to be aware of this so that I do not assume the same privilege when I am interacting with Autistic adults. If I am working to empower the voices of others – I may need to be willing to make my own subordinate. If I am sensitive to this… I may feel silenced… I may need to silence myself. This feels uncomfortable at times… I am learning to make peace with this discomfort. It may feel like I am being silenced by those I am trying to support… and it may even feel like there is an irony to this. There is no middle ground here: all people deserve respect. 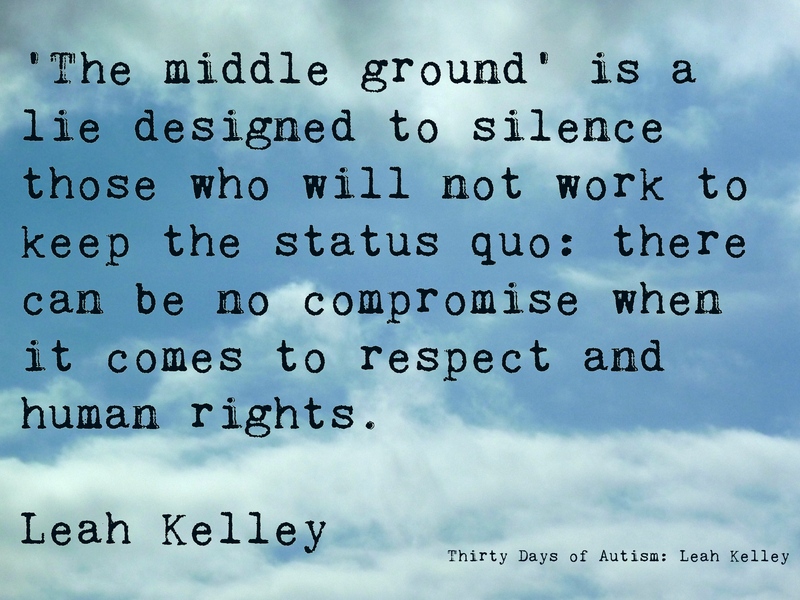 ‘The middle ground’ is a lie designed to silence those who will not work to keep the status quo: there can be no compromise when it comes to respect and human rights. There is no divide when parents are willing to support the civil and human rights of the disabled adults that our sons and daughters will someday become. This entry was posted in ableism, acceptance, Activist, Advocacy, Autism, Autistic, Disability, listening, Neurodiversity and tagged acceptance and love, ActuallyAutistic, middle ground, no divide, The Mighty, the REAL experts. Bookmark the permalink. 17 Responses to Why can’t we all get along?!? Leah Your amazing quote caught my eye on Kimchi Latkes’ page. I adore your post – your points are all so true. I went back to edit my Mighty post, paraphrasing and linking to you. Pingback: Giraffe Party – OUTSIDE READING: Why Can’t We All Get Along?!? Wonderful. We need more – lots more – educators and parents like yourself. 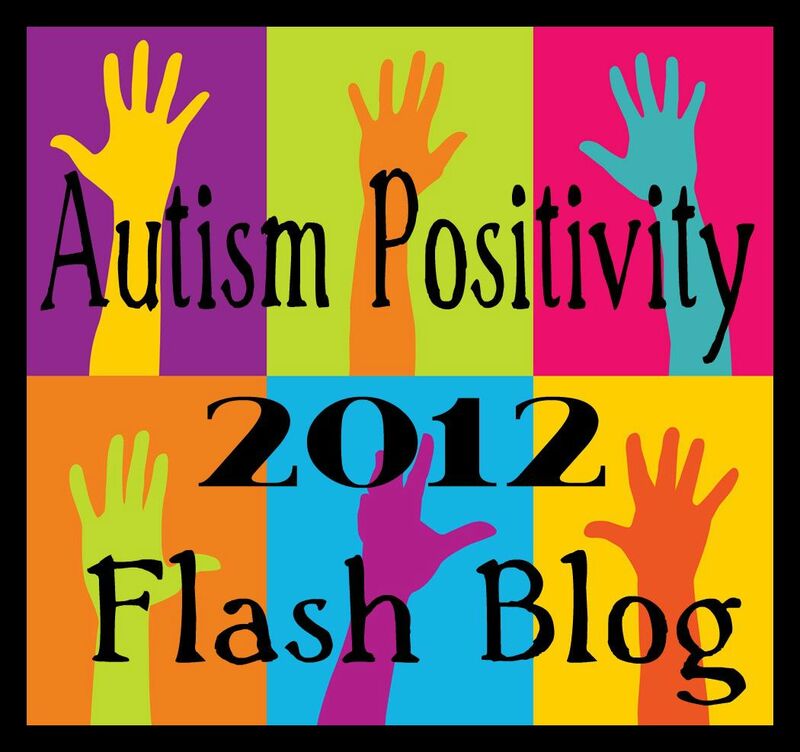 I say this as a autistic blogger myself, who’s worked in education. Thank you, rich. I appreciate you sharing that.